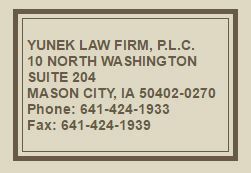 Why Us – Yunek Law Firm, 10 N. Washington, Mason City, IA. We will obtain a satisfactory settlement or ask a jury to set one. Many “litigators” simply settle cases and never go to trial. Those “litigators” cost their clients money. We settle cases where settlement is the best option, but we have a long history of trying cases that cannot be settled within reason. The determination of the need for legal services and the choice of a lawyer are extremely important decisions and should not be based solely upon advertisements, certification, specialization or self-proclaimed expertise. 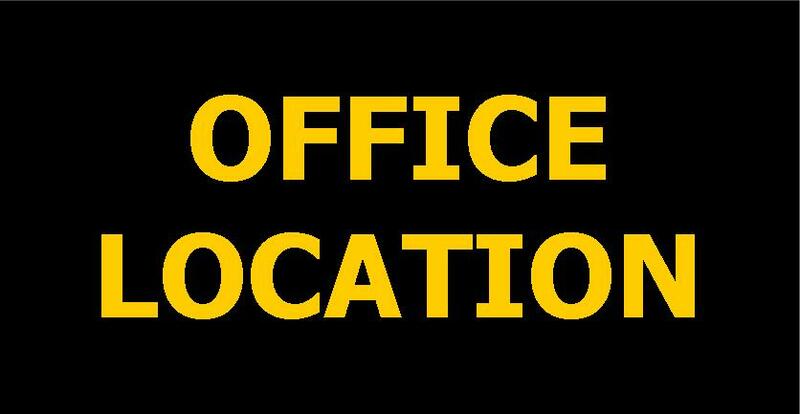 A description or indication of limitation of practice does not mean that any agency or board has certified such lawyers as specialist or expert in an indicated field of law practice nor does it mean that such lawyer is necessarily any more expert or competent than any other lawyer. All potential clients are urged to make their own independent investigation and evaluation of any lawyer being considered. These disclosures are required by the Supreme Court of Iowa. This web site is designed for general information only. The information presented at this site should not be construed to be formal legal advice nor the formation of a lawyer/client relationship.